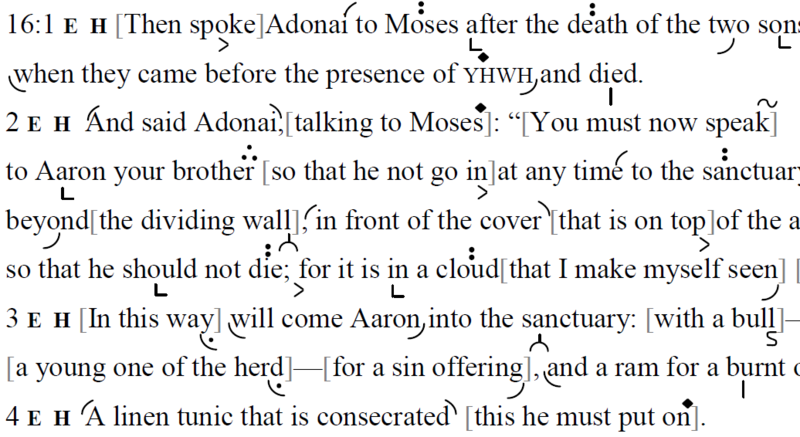 This is an English translation of the Torah reading for the morning of Yom Kippur (Leviticus 16:1-34), transtropilized (a term coined by Fellman to describe texts where the Masoretic cantillation has been applied to the translation). This translation is based on Everett Fox THE FIVE BOOKS OF MOSES with modifications based on the following translations: Aryeh Kaplan’s LIVING TORAH, The Stone Edition Tanach, the Artscroll machzors, Gunther Plaut THE TORAH – A Modern Commentary. 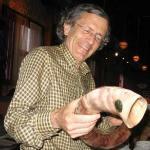 “Torah Reading for Yom Kippur morning (Leviticus 16:1-34): Chantable English translation with trope, by Len Fellman” is shared by Len Fellman with a Creative Commons Attribution-ShareAlike 4.0 International copyleft license.